Proper hazardous waste disposal is incredibly important to any manufacturer. Especially as the laws regarding correct hazardous waste treatment become even stricter and more stringently enforced, failure to comply with these legal requirements will carry increasingly severe consequences. If you’re at all uncertain about the correct way to go about disposing of your hazardous waste, reach out to a reputable hazardous waste disposal company to get yourself educated and informed—and hopefully avoid those penalties. The first important thing to realize as the owner of a manufacturing business is that hazardous waste disposal is not as straightforward as other kinds of trash removal. There is a laundry list of things you need to do to be fully in compliance when it comes to identifying, segregating, containerizing, shipping, and disposing of hazardous waste your business produces. Not being aware of all those nuances and laws is also never an excuse. If you are found to be in noncompliance (with federal or state laws), you are subject to fines and other punitive actions. Especially if you’re new to this industry, all those regulations can feel overwhelming. That’s why it’s so important to educate yourself early on to ensure you’re not inadvertently in violation. Reach out to your local hazardous waste disposal companies. They are a wealth of information and experts in this particular industry. 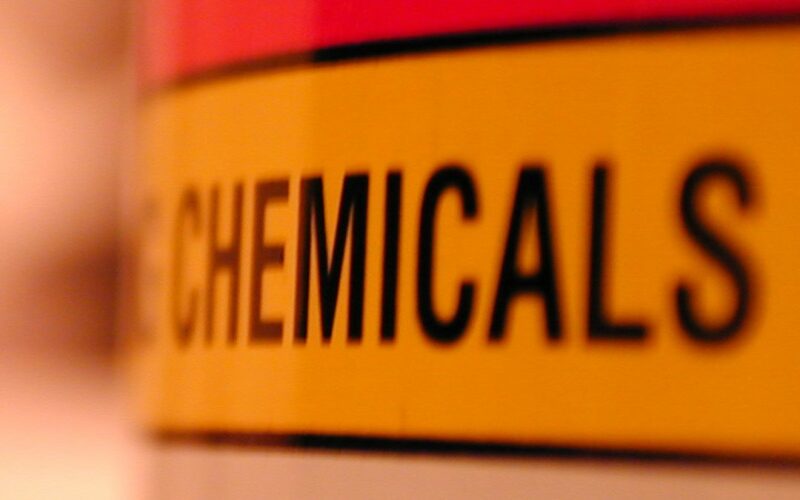 Start at the Beginning: What Is Hazardous Waste and What Is Not? As you start this process of proper removal, one of the first crucial steps is merely understanding what you produce that is considered hazardous. This identification stage is arguably the most important. If you don’t realize something is hazardous, and you throw it away as normal trash, you are introducing dangerous hazardous waste materials into the environment without proper treatment. This is obviously bad for humans, animals, and ecology, but it also puts you at risk for fines or other consequences. Work with hazardous waste removal companies to go through this important identification stage. If you’re a big manufacturing industry, it’s likely you have an environmental manager on-site who handles all the logistics of your hazardous material. However, if you’re a small or midrange company, it’s less likely you have somebody in this role. If you don’t have a person designated for that purpose, an experienced waste management company can walk you through how to dispose of hazardous waste safely, efficiently, and legally. How to properly store and label all waste. How often you need to ship and who to ship it to. What paperwork you need to legally ship. What proper treatment involves, including hazardous waste incineration. Why Are Hazardous Waste Management Companies More Important Than Ever? It’s a particularly challenging time for manufacturing industries to handle their hazardous materials. In the recent economic hit, people were often moved around manufacturing businesses. They either took on new jobs or added new responsibilities to their existing jobs. This meant a lot of people who had no previous knowledge or experience with hazardous waste were suddenly in charge of managing those waste streams. To make matters more difficult, this occurred just as laws were becoming more consistently and strictly enforced regarding hazardous materials. With an industry as complex and dynamic as this—where the consequences are potentially so high—it’s essential to find a reputable hazardous waste management company. The company should put a high premium on customer service. If you need flexible pickups or a question answered right away, you want a company that can accommodate that. The company should be knowledgeable and up to date on all information regarding hazardous waste. Remember, as the generator, you assume cradle to grave liability, and even if your waste management company leads you astray with poor waste management advice, you could still be responsible for any accidents or damages your waste causes. Ensure the company is Department of Transportation (DOT) approved and drivers are DOT certified. Also check the company’s hazmat insurance is adequate in case of an accident. For more information about the hazardous waste removal process, please feel free to reach out to a representative of MCF Environmental Services, a waste management Atlanta business.